Turkey is a land of contradictions, that will immerse your senses from the moment you leave the airport.The country is a harmony between an eastern heritage and western urbanisation, a place that is proud of its past but is happy to embrace its future. There’s so much to see and do in this amazing country, making it incredibly hard to narrow it down to a list of must sees. Firstly, there are glimpses into Turkey’s history around every corner, such as dramatic architectural masterpieces from the Ottoman Empire and ruins from the ancient civilisations of Troy and Ephesus. The beheaded statues on the top of Mount Nemrut in the south-east region Turkey, which are believed to be a royal tomb of King Antiochus I, are another one of the historical gems that are well-worth the trip. 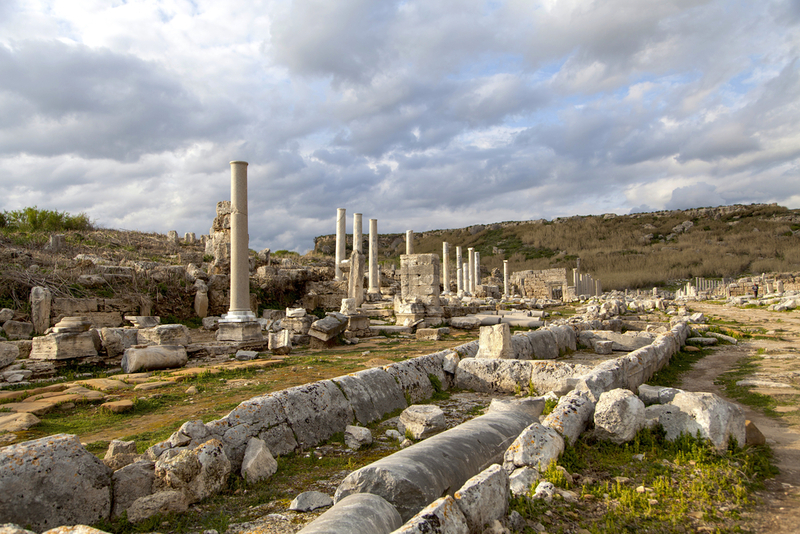 While the popular tourist attractions of Turkey will no doubt keep you entertained, you will be richly rewarded by taking a stroll down the road less travelled. No matter where you choose to go, eastern hospitality will be waiting for you. Ask the locals where they think you should go and you’re guaranteed to see a side of the country that only a few tourist have seen. If you get peckish on your travels, you should sample some traditional Turkish cuisine. Ranging from delicious meze to fresh breakfasts prepared with locally-sourced ingredients, the food you eat will take you to the heart of this country’s distinctive culture. Sample freshly-prepared Aegean vegetables, delicately-spiced kebabs and honey-sweet baklava, washed down with a cup of dark coffee, a shot of Raki or cold glass of beer. In between meals, you can try your hand at something adventurous, like diving, windsurfing, rafting and canoeing in mountain gorges. In fact, why not leave the ground entirely and go paragliding or take a hot-air balloon ride over the honeycombed hills of Cappadocia? If you plan to visit Istanbul, Turkey’s capital city, you should check into the Sumahan on the Water. Situated on the waterfront of the Bosphorus, this boutique hotel is a 19th century restored Ottoman distillery and will take your breath away.